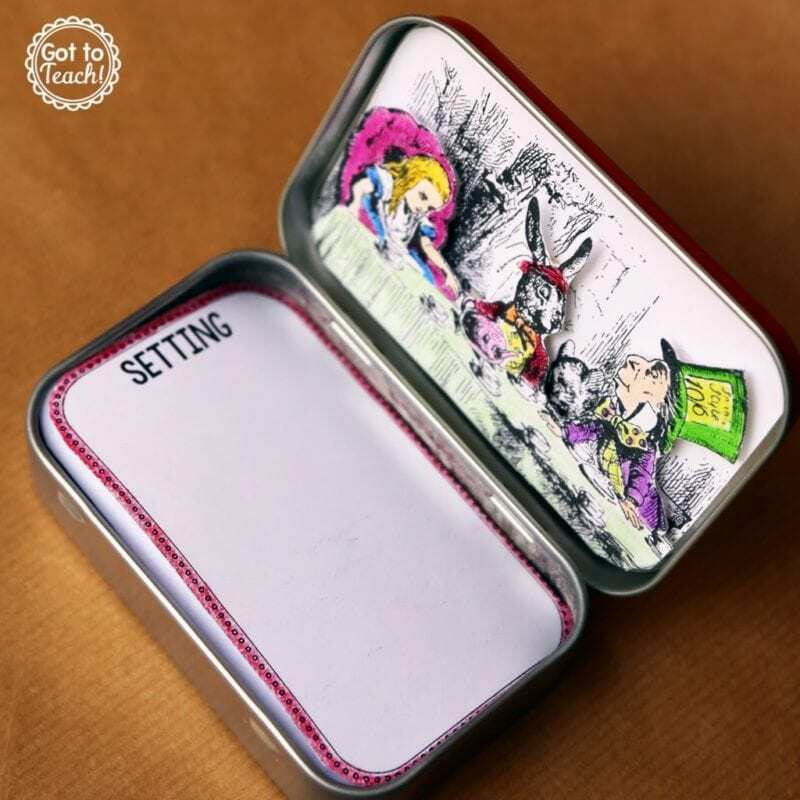 There are so many super creative, open-ended projects you can use mint tins for. 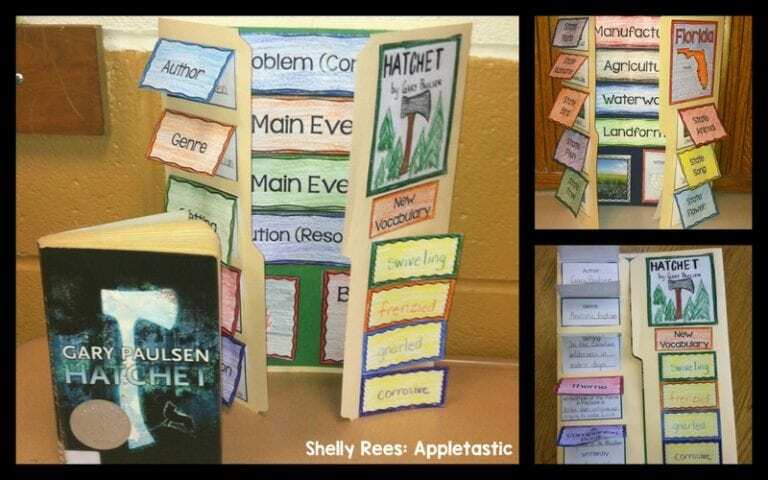 This teacher blogger describes the process of creating book reports using them, and even includes a free template for cards that fit inside. 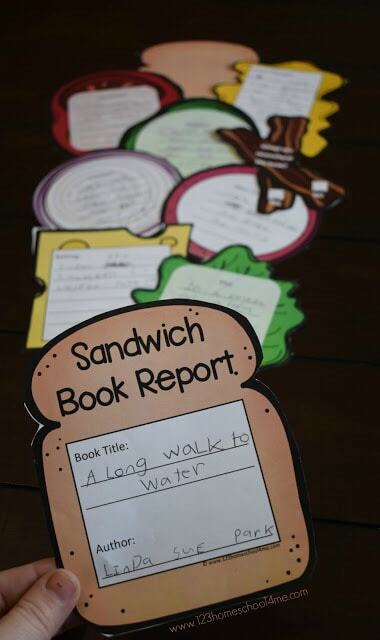 This project would be perfect for a book tasting in your classroom! 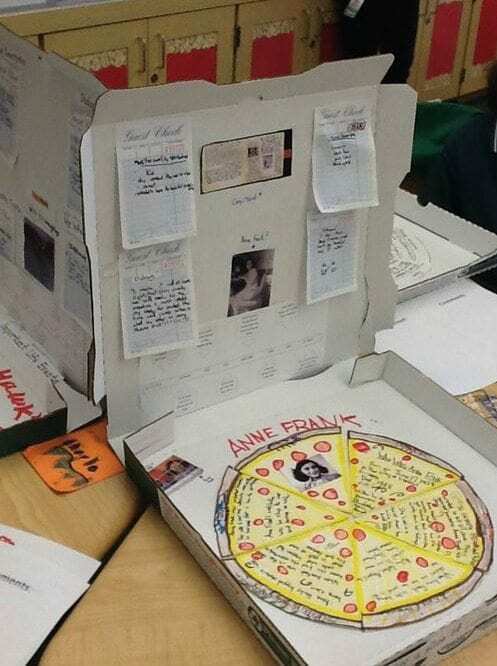 Each student presents their book report in the shape of food. See sandwich and pizza below and check out this blog for more delicious ideas. 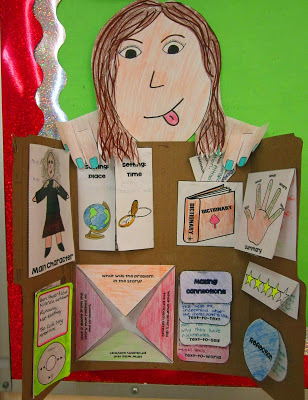 Using cardboard lap books (or small science report boards), students include details about their book’s main characters, plot, setting, conflict and resolution, etc.. Then they draw a head and arms on card stock and attach them to the board from behind to make it look like the main character is peeking over the report. 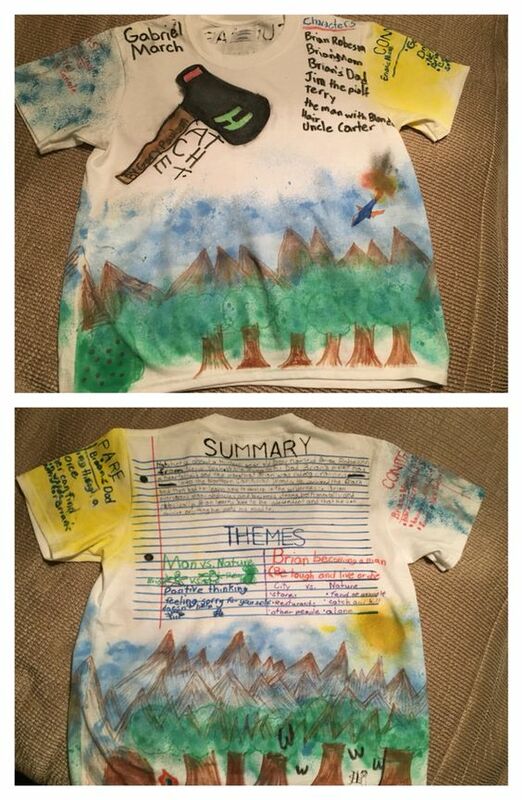 Another fun and creative idea—create a wearable book report with a plain white tee. Come up with your own plan using Sharpie pens and acrylic paint or get step by step directions for $5 from Super Teacher Tactics on TPT. 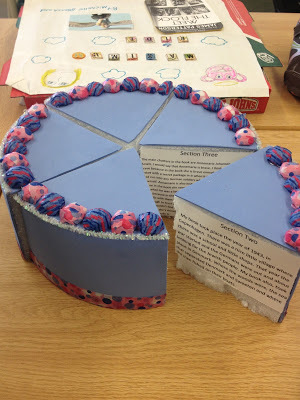 Who doesn’t love a multidimensional book report? This image shows a 3D model. 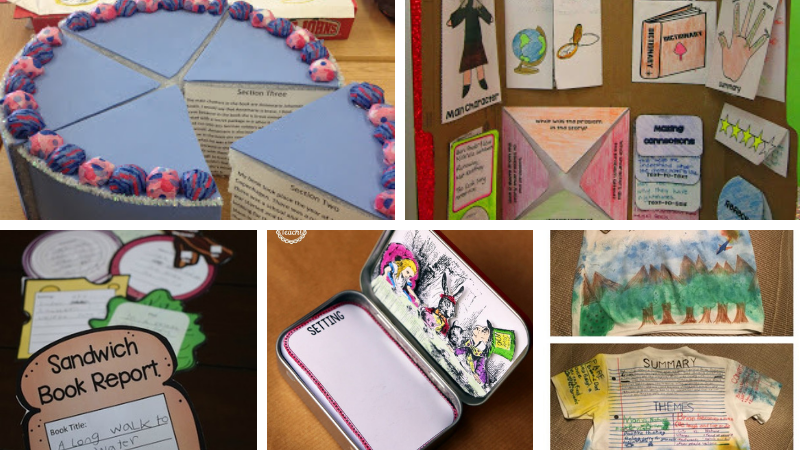 Follow the link to the lesson to see how students can glue 4 triangles together to make a 4D model. 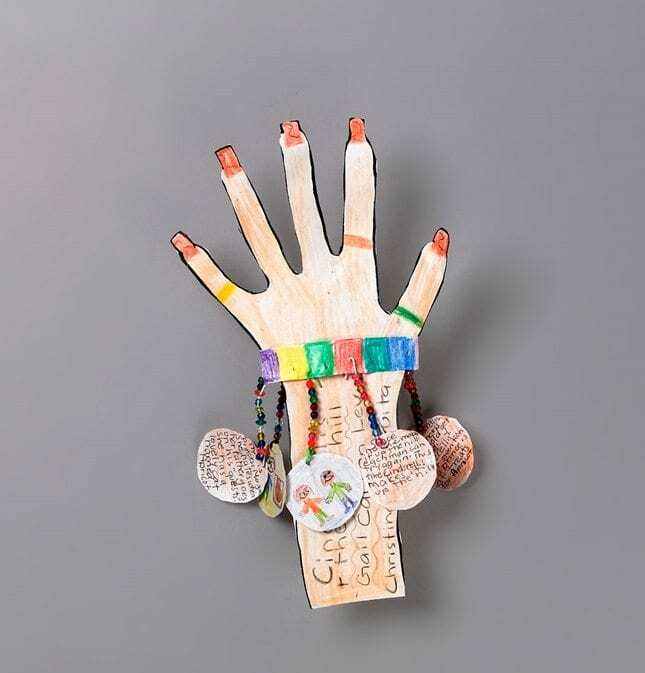 This creative project doesn’t require a fancy or expensive supply list. Students just need an ordinary clothes hanger. 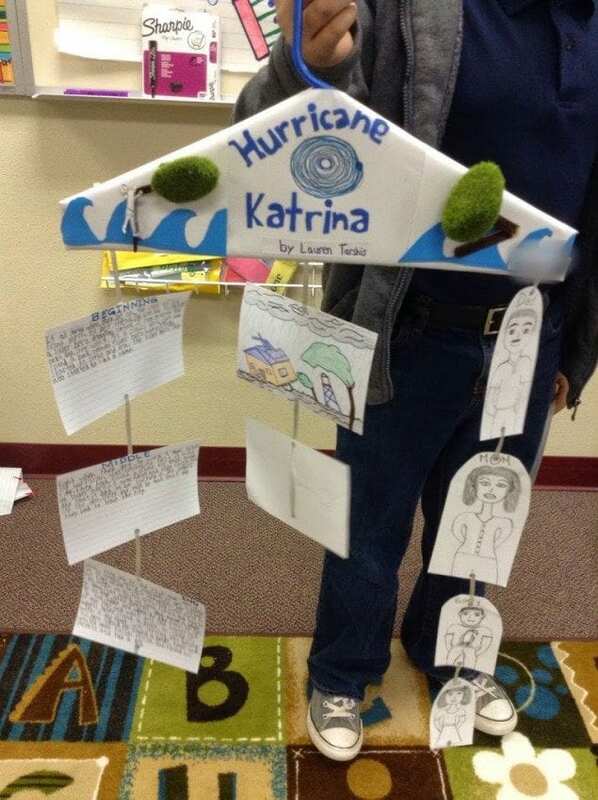 The body of the hanger is used to identify the book and the cards on the strings dangling below are filled with information like characters, setting, and a summary. 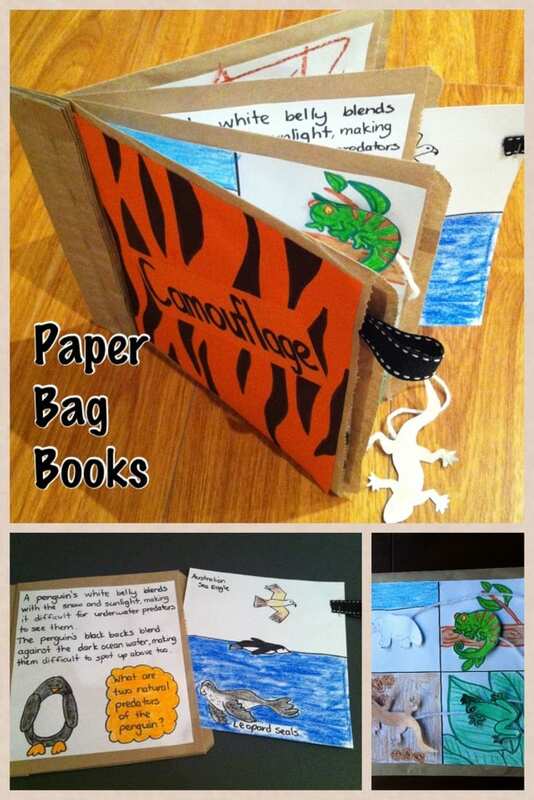 This clever book report is made from ordinary paper bags. Stack the paper bags on top of each other, fold in half, and staple the closed off ends of the bags together. 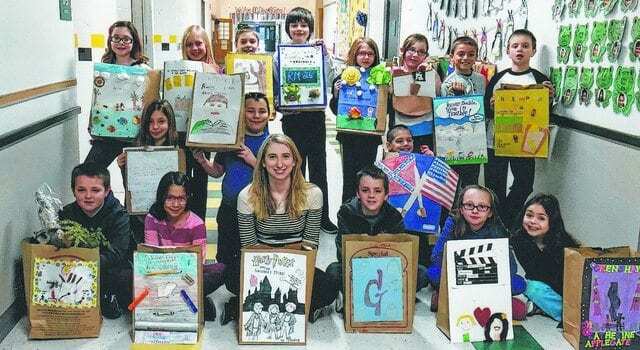 Students can write, draw, and decorate on the paper bag pages. 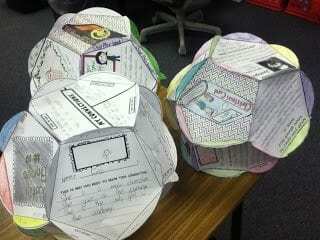 They can also glue information on writing or drawing paper onto the pages. The open ends of the bags can be used as pockets to insert photos, cut-outs, postcards or other flat items that help them tell their story. 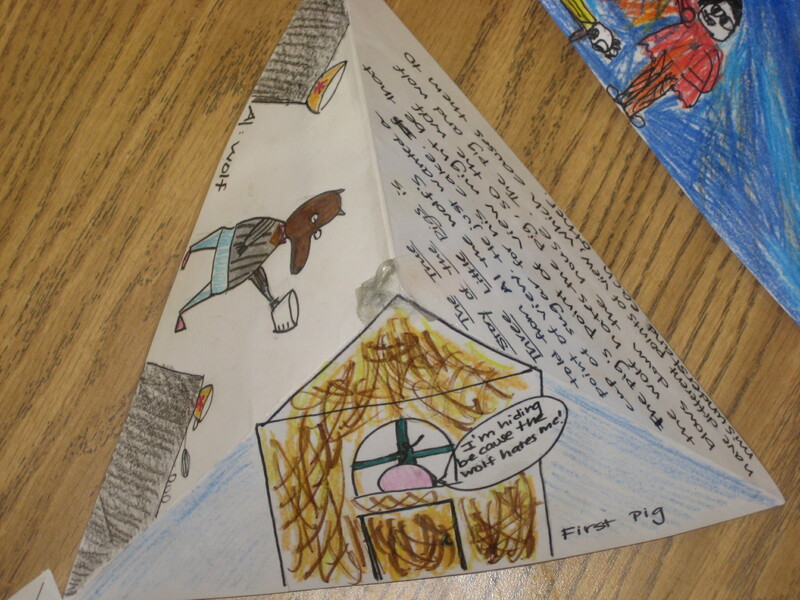 This book report project is a “low-tech” version of a television made from a cereal box and two paper towel rolls. 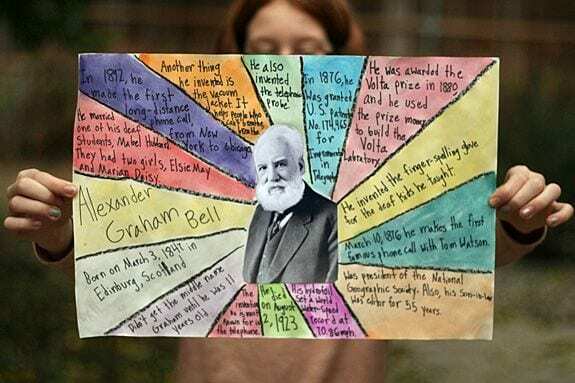 Students create the viewing screen cut out at the top, then insert a scroll of paper with writing and illustrations inside the box. When the cardboard rolls are turned, the story is told.